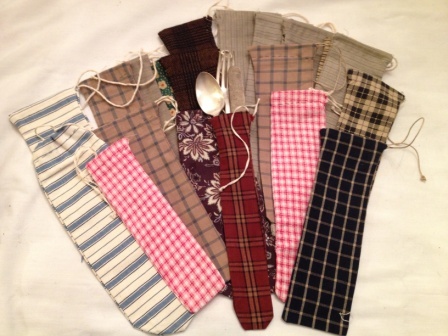 Poke Sack - sized for silverware, can be used for anything. *Due to availability and continually adding new stock, we are unable to offer a specific fabric choice. If you would like to give us a color choice we will do our best to find a bag that has that color within it.